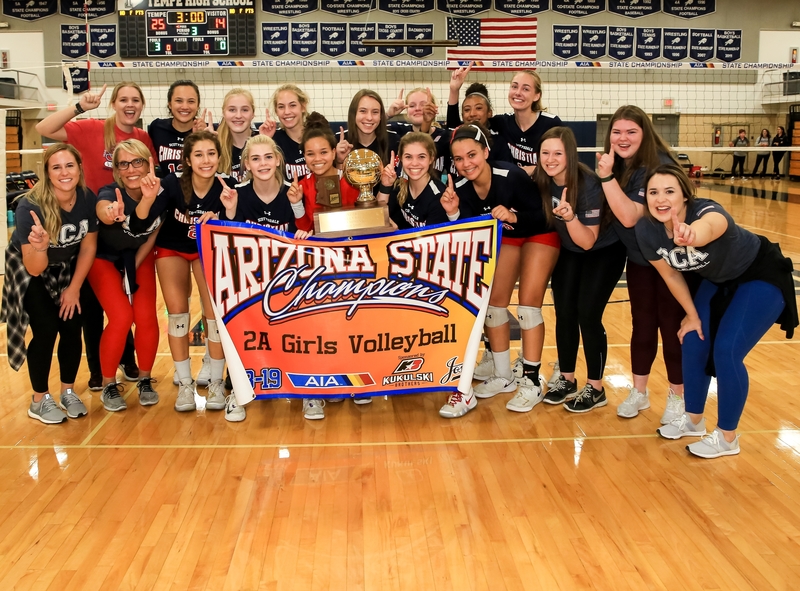 Scottsdale Christian Academy Varsity Girls Volleyball team won the 2A State Championship on Saturday night, taking down Glendale Prep, 3-0. SCA got off to a fast start and never looked back in sweeping the Griffins in 3. Senior Captains Emma Whitehead and Lauren Ohlinger lead this young Eagle team to victory as well as an undefeated tournament with the Eagles never dropping a set all weekend. The State Championship did not come without SCA having to deal with some adversity. Junior Middle, Caroline Montgomery, suffered an ankle injury on Thursday night before State action took place on Friday. The team adjusted quickly moving Junior OH, Taylor Raiola to Middle and Sophomore DS Kylie Lynne to RS. The team rallied together and played selflessly and came out victorious. Raiola stepped up by hitting .529% during the State Tournament and collecting 44 Kills. Against Glendale Prep in the State Championship game, the Eagles were too much for GPA to handle. SCA passed the ball very well which allowed for the Eagle hitters to terminate the ball for Kills. GPA had no answer for all the hitters on the SCA team. SCA had a hitting percentage of .429 that lead to 51 kills. The Eagles combined for 9 aces and 45 digs. The two Outside Hitters, Senior Lauren Ohlinger and Freshman Laylah Daniel combined for 33 kills with Ohlinger hitting .378% and Daniel hitting .364%. Sophomore Middle Sophia “Waddy” Wadsworth hit a whopping .857 with 6 Kills, while Raiola had 11 Kills and hit .529%. Freshman Setter, Lexi Lambert had a career high with 48 assists. Overall, SCA finished the season with a 38-7 record and going 10-0 in the Region. This is the second year in a row that the Eagles have won the 2A State Championship. 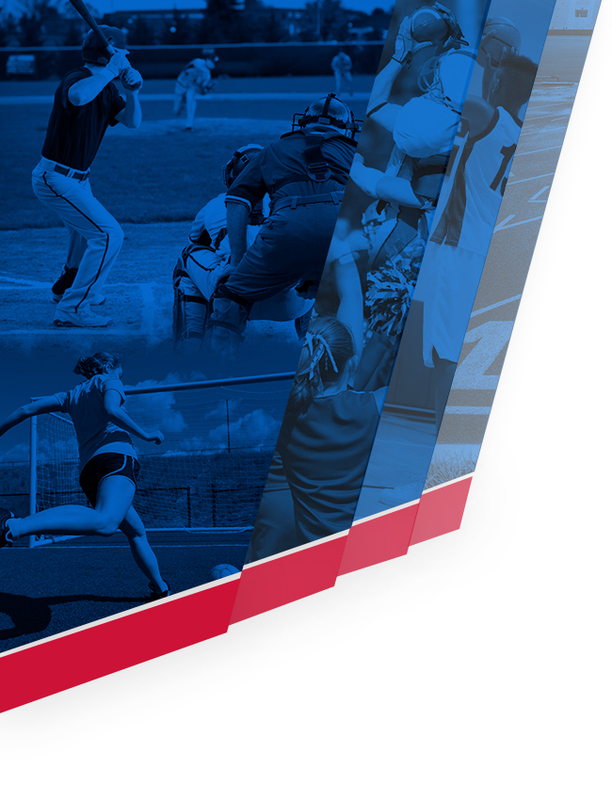 According to MaxPreps, The Eagles finished #1 in 2A, #7 in the State and #187 in the Nation. 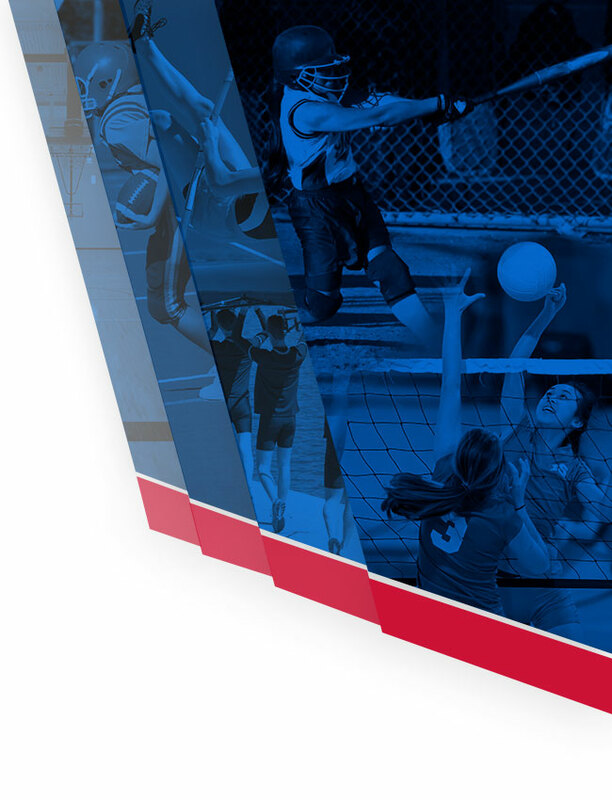 Prepvolleyball.com also has the the Eagles ranked #81 in the country! 2A All State Teams were announced as well this week with Lauren Ohlinger and Emma Whitehead making the First Team, with Emma being awarded Defensive Player of the Year. Taylor Raiola and Lexi Lambert were named Honorable Mention. This SCA Eagles team might be one of the best Volleyball teams in SCA history. The Coaching Staff and the leadership of the Senior Captains were important components to the success of this team. The verse for the team this season was Isaiah 43:2. The Eagles used words like trust, humility, selfless, determination and energy to define their season. The Eagles Volleyball team would like to thank all the fans who supported them throughout the season. Go Eagles!